Most business valuations are performed when a company is about to be sold, but there are many other events in the life of a private company that might require a professionally prepared valuation. As an experienced UK business broker we are often asked to provide business valuations for private limited companies or partnerships. In most cases this happens at the start of a business sale process, but there are a surprising number of other situations where a professional valuation might be required. In most of these situations an objective, independent appraisal is needed to satisfy a third party such as tax authority or a court. So What Are The Events That Might Require A Professional Business Valuation? All family assets have to be split when a couple divorce and this includes a business that has been built up during a marriage. An independent professional valuation of the business can be an excellent way to settle a disagreement about the real worth of a company. Situations often arise where business partners fall out, or one of the partners wants to retire. If the partners cannot mutually agree on the value of a business an independent professional valuation can be useful. When a sole trader or partnership is to be incorporated it is necessary to put a value on the business for both tax and accounting purposes. 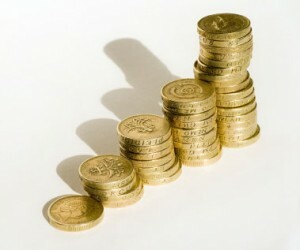 An independent professional valuation can prevent any disputes with the Inland Revenue. When a business owner receives an unsolicited offer for a business it is often difficult to know if the price offered is reasonable. A professional valuation can put the owners mind at rest. A professional valuation may be necessary to establish the value of a business for inheritance tax, or to suggest a buy-out value for the spouse of a deceased business partner. An Independent Financial Advisor or Financial Planner might request an independent valuation as part of retirement planning. If you do decide to commission an independent valuation of your business make sure to use a professional broker or accountant with a specific qualification in corporate finance and business valuation.